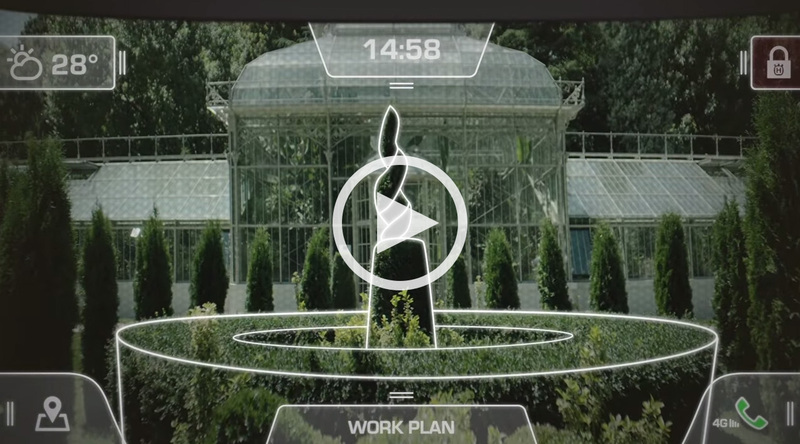 HUSKVARNA, Sweden, Oct. 8th, 2015 /PRNewswire/ -- What if your trimmer could talk to your smartphone, or smart watch, and help you do landscaping in new ways? 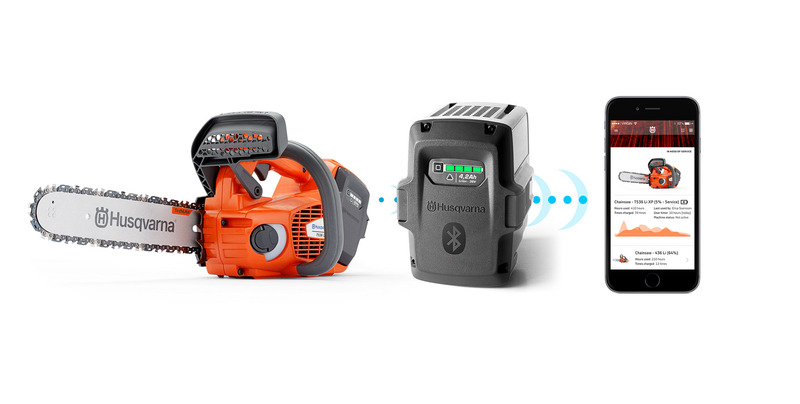 Following the positive response to the sensor based fleet management system Husqvarna Fleet Services, Husqvarna presents a concept of a connected battery that can collect and provide real-time data from power tools. Featuring the connected battery technology idea, Husqvarna also unveils a design concept hedge trimmer for the future, with a visor that uses real-time data and augmented reality to support operators. 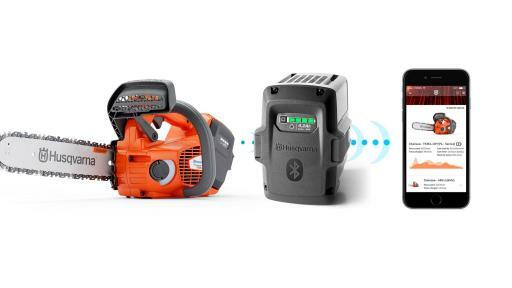 During a press event in Antwerp, Husqvarna unveiled a prototype of a lithium battery with integrated Bluetooth connectivity – a connected battery. Tools equipped with the new battery prototype will be able to share valuable information about itself to its user. The battery prototype can easily be paired with an operator’s smartphone or a smart watch, to either provide the operator direct information, or to pass on information to other members of the team, such as other operators, managers, technicians or dealers. The requirement for landscapers to increase productivity and end-results calls for high-performing and efficient tools. 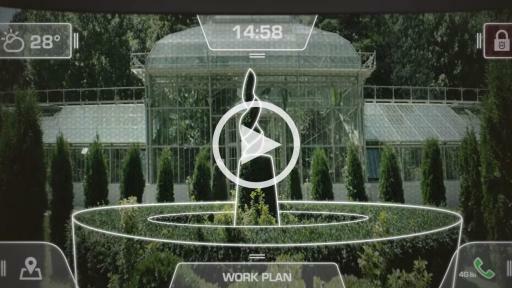 When powering tools with intelligence, landscapers can start developing new ways of working. For example, avoiding downtime by shifting from reactive maintenance if a machine breaks down, to proactive maintenance, as the tools themselves can alert and prepare managers and technicians when they need service. Improving skills: Tools can give direct feedback and guidance on how to use them, helping operators to refine their technique as well as help beginners use the tool in a professional and optimized way faster. Improving safety: The new battery opens up new opportunities to improve user safety, as well as to prevent theft by locking your machine so someone else cannot use it. Improving team communications: Getting an instant overview enables team leaders to go from ‘how did we do today’ to ‘how are we doing right now’ and thus be more flexible in adjusting directives or allocating resources differently if something unexpected happens. Improving planning: With the data and insights provided by the connected battery, team leaders will have better intelligence to support their planning, both short and long term. Super light cutting blades in carbon fibre and liquid metal, with individual sensors on each blade to govern exactly how much power the battery should provide for the job at hand. An augmented reality visor that uses data to support the operator in real-time with everything from machine status information to projected cutting patterns while cutting. An integrated micro camera that displays the cutting view within the operators visor when cutting high hedges or complicated angles out of sight. 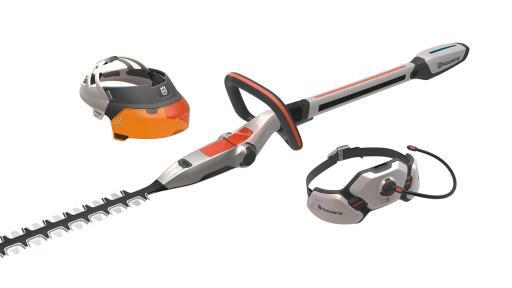 The prototype of the connected battery and the Husqvarna Ramus™ concept hedge trimmer was unveiled on September 30th at an international event about the future of landscaping, held by Husqvarna in Antwerp, Belgium. The prototype of the connected battery is currently patent-pending and further details are to be defined. 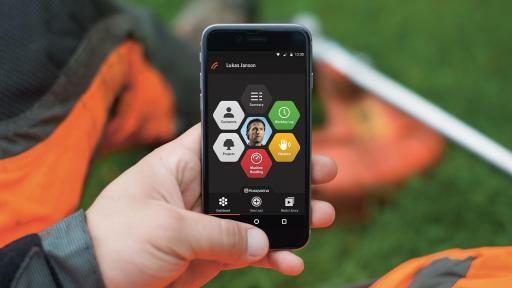 Husqvarna was first in deploying connectivity to outdoor power products and in 2014 ‘Husqvarna Fleet Services’ was introduced – an online service platform that supports landscaping professionals with data from smart sensors added on to products. The aim is to integrate the new connected battery with Husqvarna Fleet Services when available to the market. 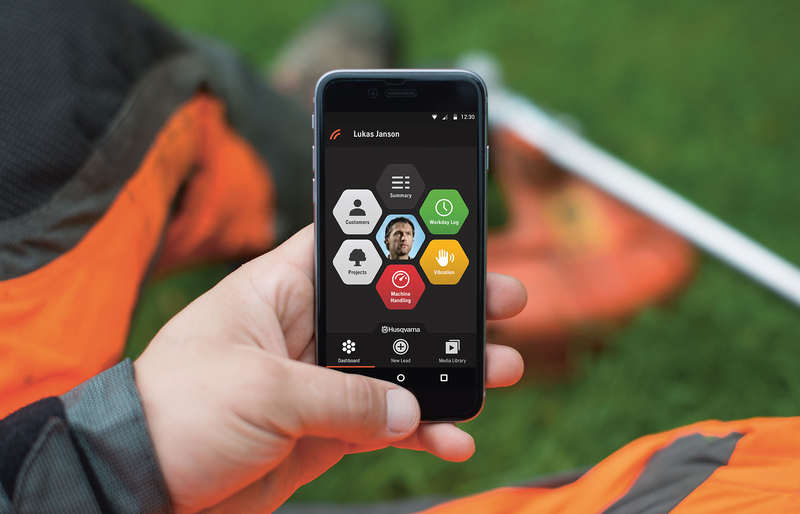 And just now, Husqvarna is launching a smartphone app version of Husqvarna Fleet Services that further supports work in the field and increases crew involvement. For example the new app allows team leaders and operators to access assignment details on the map and even record and submit new business opportunities identified by the operators while working in the field. Husqvarna Group Husqvarna Group is a world leading producer of outdoor power products including chainsaws, trimmers, robotic lawn mowers and garden tractors. The Group is also the European leader in garden watering products and a world leader in cutting equipment and diamond tools for the construction and stone industries. 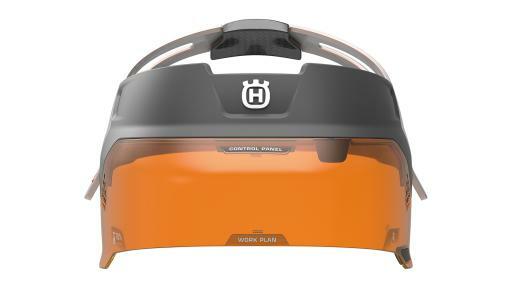 The Group’s products and solutions are sold under brands including Husqvarna, Gardena, McCulloch, Poulan Pro, Weed Eater, Flymo, Zenoah and Diamant Boart via dealers and retailers to end-customers in more than 100 countries. Net sales in 2014 amounted to SEK 33 billion, and the Group had more than 14,000 employees in 40 countries.